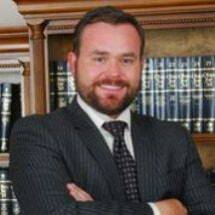 Attorney Christopher D. Byers has worked with our firm for 15 years, first as an assistant while he was in law school and then as an associate attorney since 2005. During his tenure at our firm, Chris has resolved over 3,000 cases and successfully recovered in excess of $30,000,000 for his clients in out of court settlements and at trial. Chris comes from very modest means. He was born in a small town in southern Kentucky, and raised by a single parent. This background gives Chris true insight to the financial struggles that many of his clients often face after an accident due to medical bills and lost wages. Therefore, Chris is passionate in fighting for his clients in order to obtain the maximum recovery for their losses. Chris was the first in his family to attend college, and he graduated from Berea College in 2000. Berea is a unique college as every student is on 100% academic scholarship based solely on financial need. In exchange, Berea requires its students participate in a work study program. Chris moved to the greater Cincinnati area in 2002 to attend law school at Northern Kentucky University, Chase College of Law. Chris chose Chase because it was the only law school in Kentucky that offered a part-time program. Chris worked 40 hours per week during the day while attending law school at night in order to fund his education. Chris knows the value of hard work and perseverance, and devotes these qualities to his clients. Chris currently lives in Mt. Adams with his wife and their young daughter. Chris loves Cincinnati and enjoys attending Reds and Bengals games. However, he is a blue blood by heart, and is an avid Kentucky basketball fan. Chris believes in giving back to the community and supports charities including St. Jude Children Research Hospital, Goodwill, and the Stray Animal Adoption Program (SAAP). His family currently has two stray puppies that they adopted from SAAP, Barkley and Calvin Byers. Chris loves his job as he truly enjoys helping people. He finds satisfaction in the fact that he can help an injured party recover for their loss. Chris promises not to charge any fee unless his client has been compensated, and he will always work hard to obtain the best possible outcome that they deserve.